Ronphos has a projects team that is primarily engaged in major refurbishment. 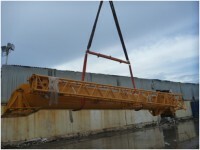 The cantilever out-loading system but also two other major projects that will provide value options to our customers. These projects are centred around our desire to offer our customers options with regards to product size, and in future options regarding product quality. 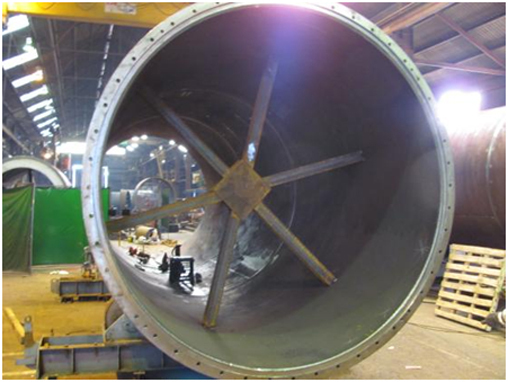 The team is headed by a Consultant Engineer, Kristan Aitchison and is staffed by Ronphos employees and local contractors. D Kiln will be removed as soon as E is completed bringing to an end the old BPC Kilns that have served 40+ years. 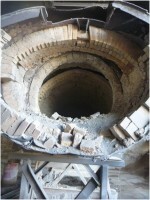 The last 2 sections of the old E Kiln being prepared for removal. The new B Kiln Combustion Chamber with the primary Dust Cyclones in the rear rail mounted for ease of refractory repairs. B Kiln on the left operational at the end of a production run with very wet rock and the A Kiln on the right now sitting on Trunnions. 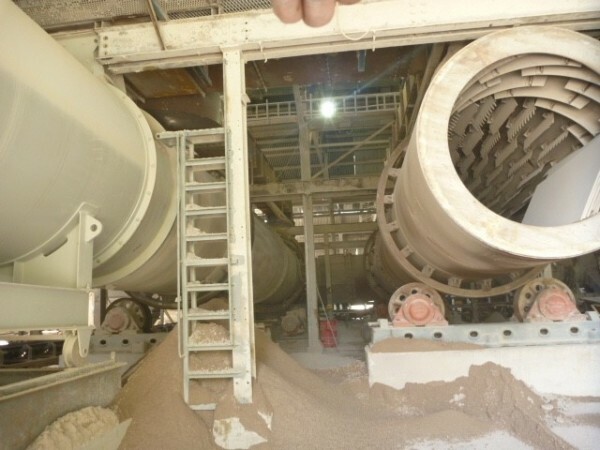 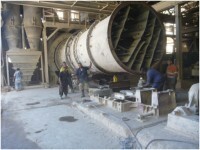 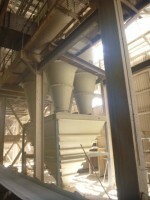 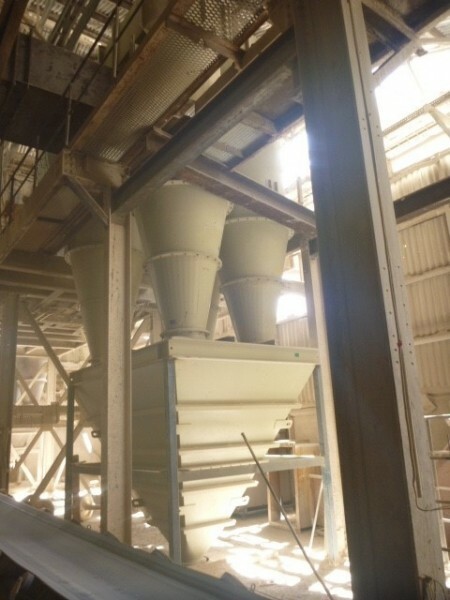 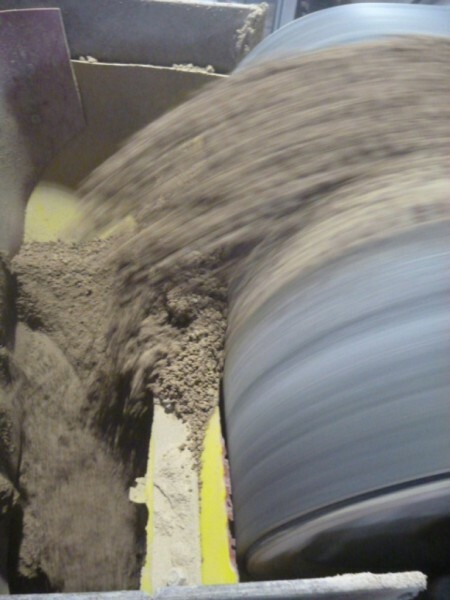 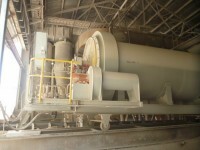 The new set of cyclones for B Kiln now in operation on the primary circuit of dust removal. The B Kiln discharge conveyor and the DB conveyor at left that takes the dried rock to the storage bin. Very wet rocking feeding the B Kiln shoot for drying. 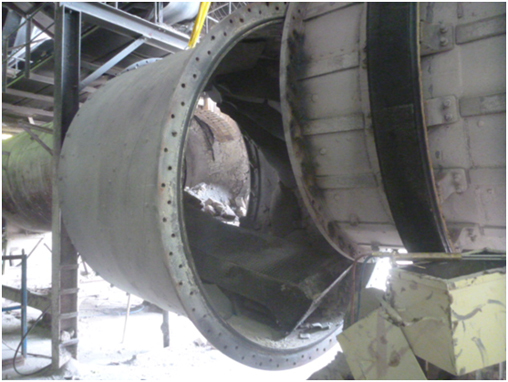 June 2014 - Out go the old �A� rotary dryer shelf type after 40+ years of service and a few million tones. 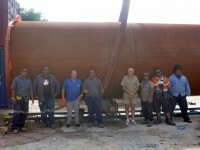 Part of the 98 gang shown in front of the last 2 sections to be removed. 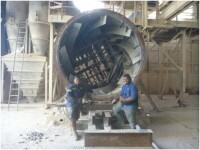 Stephen on the left and Erro on the right. 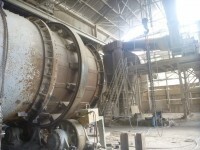 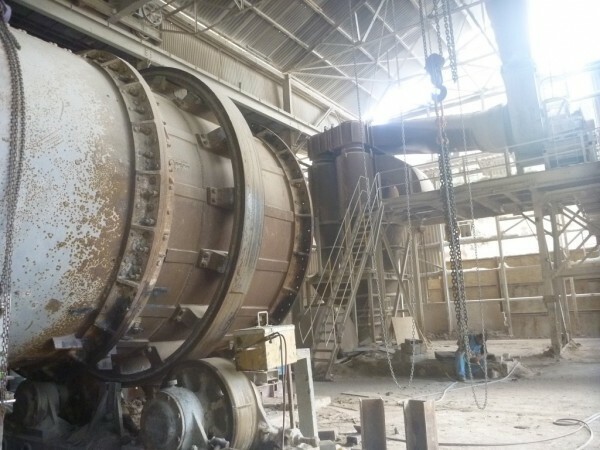 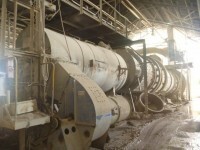 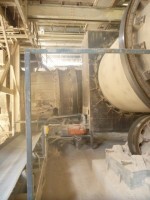 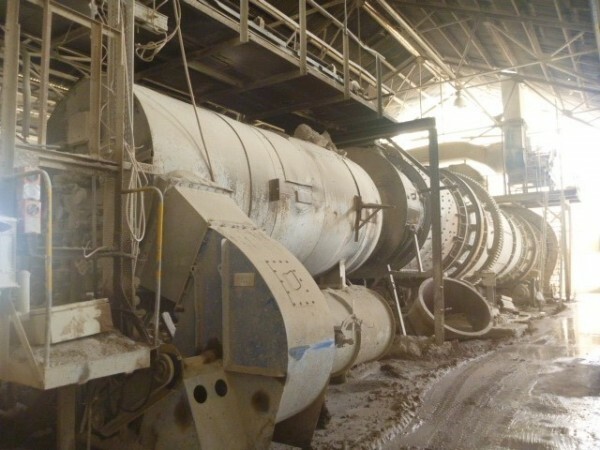 �A� Kiln with 4 sections awaiting removal by gang 98. 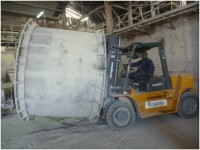 Section of �A� Kiln being removed from the drying plant by Andrew, the 98 Gang Supervisor on the new looking forklift purchased for this task and others. 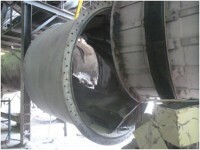 The Peabody oil fired (diesel) air heater, prior to the removal of the fire bricks then demolition. 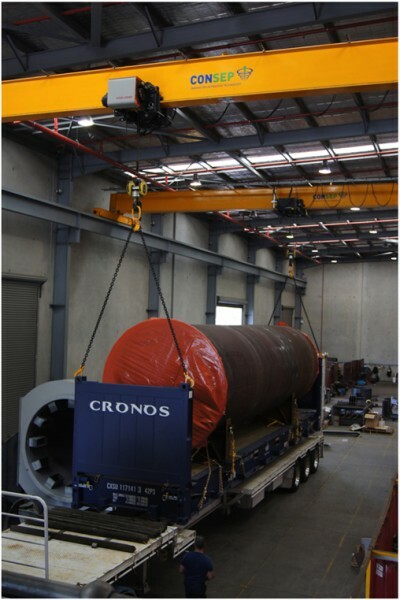 And the new Kiln sections manufactured by Consep in Sydney ready for shipping to Nauru. One half of the new “A” Kiln loaded for shipping. 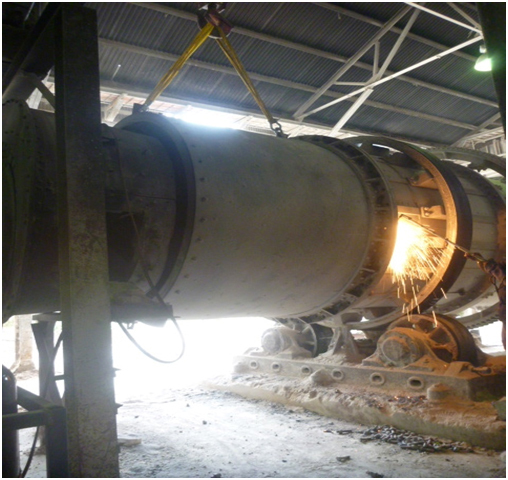 The remaining sections of the new �B� Kiln having the joint rings welded in place. 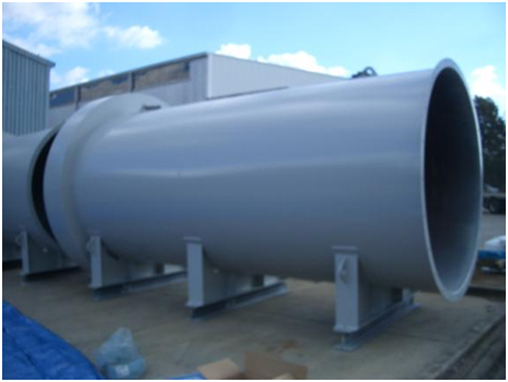 The new air heater combustion shells painted and awaiting loading. 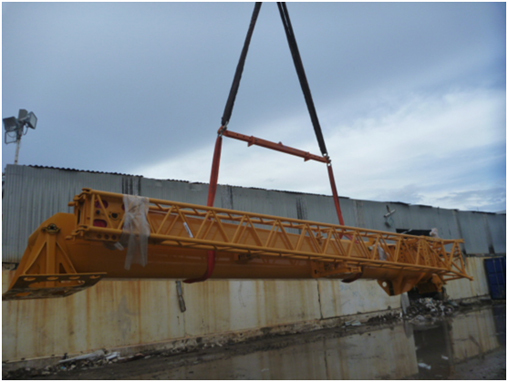 The new XCMG 120 all terrain crane arrives from China to assist the unloading and installation of the key components of the zero dust project. 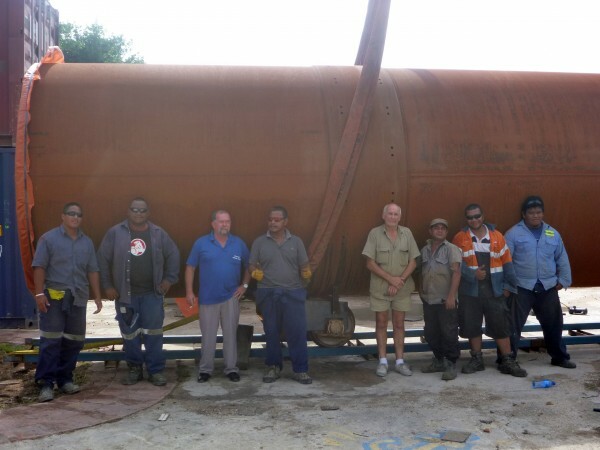 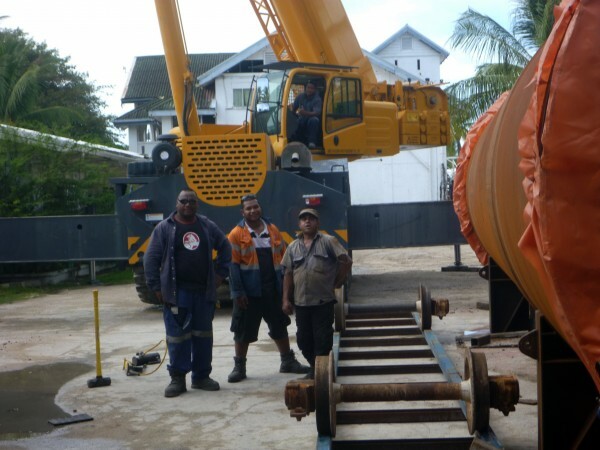 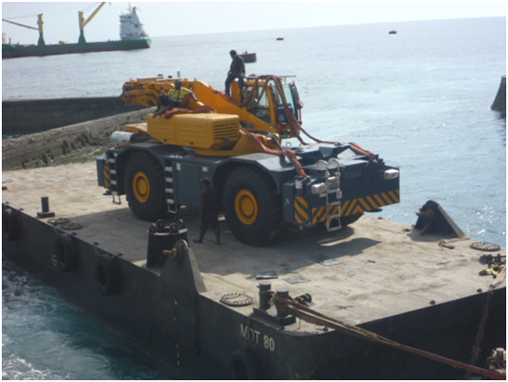 The boom section of the crane being unloaded at Nauru. Fern XCMG Crane, Andrew Supervisior Jim Ceo, Blackie Fork Lift, Kristan Aitchison, Alwyn Fitter, Caasi Welder, Erro Welder. 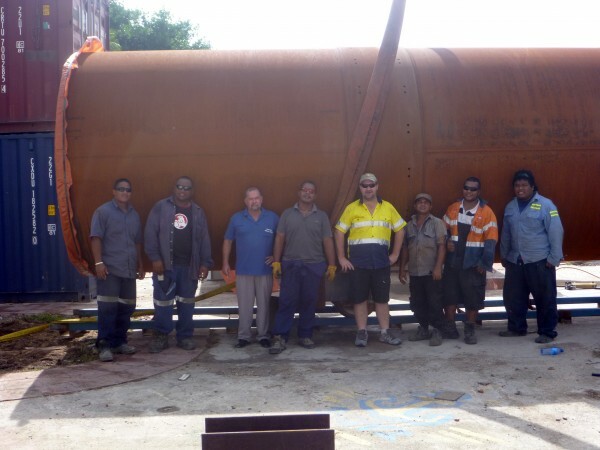 Fern XCMG Crane, Andrew Supervisior Jim Ceo, Blackie Fork Lift, Anthony Prod Manager, Alwyn Fitter, Caasi Welder, Erro Welder.